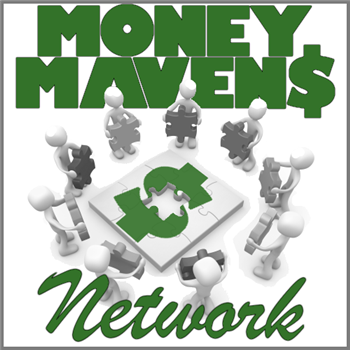 I wanted to give a shout out to a new collection of finance blogs called the Money Mavens Network of which I’m quite honored to be a member. It includes an array of nine great blogs each focused on different aspects of personal finance with each member injecting their own take on the various aspects. If you haven’t had the opportunity to investigate these other sites I give them my wholehearted endorsement. To my Canadian reader good to talk to you again. You might be better served by my friend Tom at the aptly titled Canadian Finance Blog. We can be so US centric and Tom fills in the gaps we avoid regarding specific Canadian information but also provides a wealth of great information for general personal finance. You’ll scarcely find a more enthusiastic debt fighter than the Enemy of Debt himself Brad Chaffee. You can’t help but feel pumped about busting debt when you read one of his posts. His passion is contagious and he’s an all around fantastic guy. Green Panda Treehouse has a collection of voices but Mike “The Financial Blogger” is at the helm. GPT as I like to call it focuses on those formative years for college and slightly after college students. Oh if I knew then what I know now. Honestly no matter who you are you’ll find some great advice and personal stories there. If you want the skinny on Taxes and why you might not want to jump on the Roth IRA bandwagon Joe Taxpayer is your man. He and I might not agree on Credit Cards but he’s a fantastic guy who know his stuff, and if you like the hard numbers you’ll find them at his site. Len Penzo is written by none other then Len Penzo himself. I can’t tell you how many times I have snorted a beverage out my nose reading one of his posts. Without a doubt the most entertained you’ll ever be reading about personal finance. Over at Money Help for Christians you’ll find Craig Ford who by day is a missionary in Papua New Guinea. Craig writes from a Biblical perspective and has a fantastic view of money. The Money Mavens was also his brainchild, thanks for inviting me Craig! The Oblivious Investor is a fantastic site devoted to simple investing advice. He also has written several brief guides to investing, small business taxes and many more topics. For all your investing needs go see Mike Piper. Wealth Pilgrim is written by Neal who astonishingly is a certified financial planner as his day job and has a very unique background. Neal knows his stuff and has a great sense of humor that I think you’ll enjoy. You can also just ask him a question and he’d be happy to lend his considerable experience. So there you have it, be sure and give them a visit add them to your RSS reader or get on their email lists and I promise you won’t be disappointed. We’re all moving to the same goal, financial independence one dollar at a time. Congrats on starting your own network. I know being part of a network was integral in helping me to take my blogging to the next level – even if our network isn’t as active as it once was. Good luck and we look forward to seeing great things from the MMN! Thanks Pete for the encouraging words. Paul, I’m looking forward to working with you more as your posts always attract my inner geek! I’m glad I could bring a smile or two to you over the past year or so, Paul! Some of the things you come up with are truly inspiring, both in the world of personal finance and clever inventions. My favorite is still the GI Joe grappling hook. Why couldn’t I have thought of that when I was a kid? Thanks Len, I really think most anyone can benefit from a grappling hook, miniature or full size. Oh yeah… Lest I forget, you retiring $2.4456 million worth of debt in 11 months was pretty good too! This is going to be sooooo much fun! I’m glad we are on the same team! Congrats on coming together like this. I agree with Pete, you guys will see some solid growth because of this group effort.